Can I book only the events I want? Yes, such possibility is available in administration panel. The choice belongs to you. In our administration panel you can browse and choose events. Auto-booking is also available for you. What stats are available in ScoutsFeed? We have a wide scope of statistics depending on sport, competition and range. How do you verify the data? We have several-steps procedure of verification. Our supervisors are verifying all data with restrictive standards. 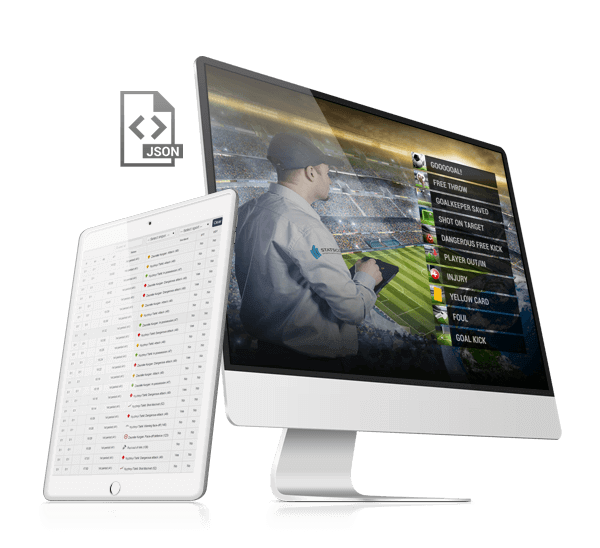 STATSCORE highly trained professional team works on it in real time 24/7/365. Do you offer the same live statistics for every event? We guarantee the same data structure for each sport. What sports are available with ScoutsFeed? We are happy that you asked. Please just select FREE TRIAL to open your free 14 day test account for ScoutsFeed! How can I find out if the event is scouted from the venue? Next to each event there is a graphic sign that informs you if the match will be covered from TV or venue. Do you use your own scouts? Yes, in STATSCORE we have over 500 scouts, highly trained by us. We are proud of having that number of sports specialists. Please check Plans and pricing for detailed information or reach to our Customer Success Team for more details. There are 30 languages you can choose from at the moment. We can also add new one on your request. We will organise new language in about two weeks. You can choose events which you want in administration panel by yourself or use auto-booking option. We provide up to 6,000 events per-month. It also depends on the stage of the season and availability of competitions. If you wish, you can check our coverage listed on our website. You can also try it by yourself after starting 14-day free trial. Our coverage list will help here – you can find there detailed information about stats in every package. For example: the GOLD package offers you in-depth data on teams and players, while the VIP package is delivering the most detailed stats!